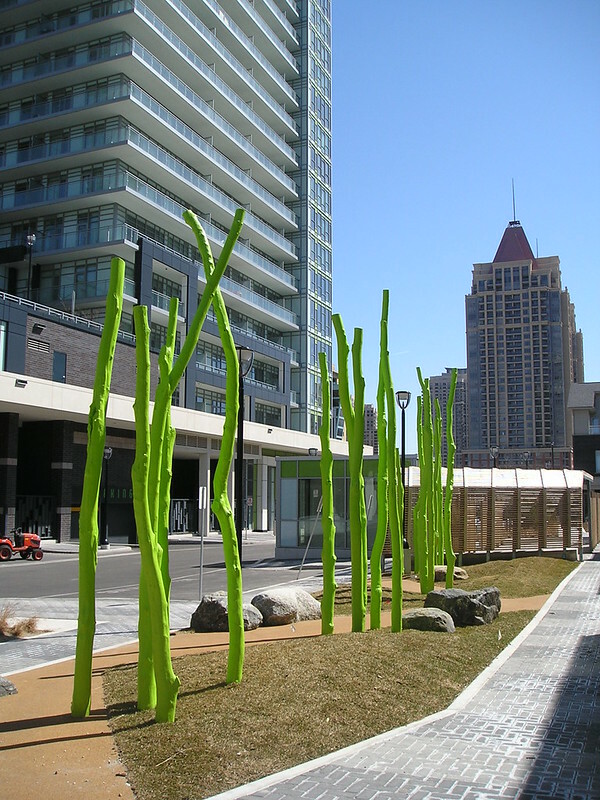 Limelight condos – Mississauga are the latest condos in the Square One area to be completed by The Daniels Corporation. 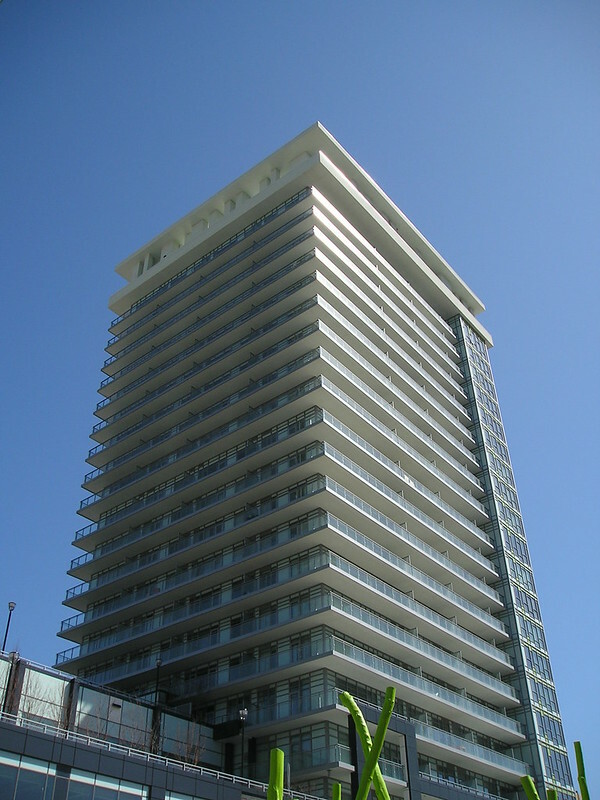 Featuring striking modern architecture with floodlit lime coloured rooftop lighting, the complex contains two towers, which are joined by an elaborate 6 storey podium, plus an adjacent group of condominium townhomes. 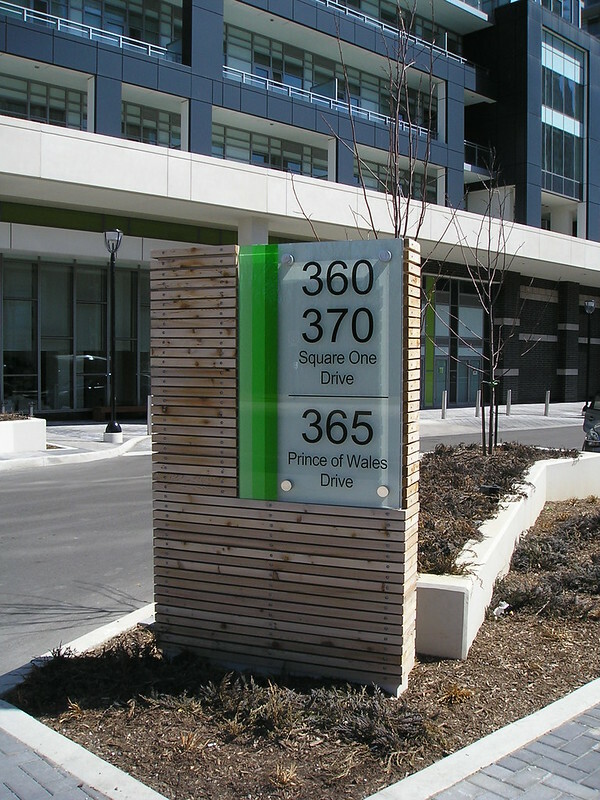 Municipal address for the south tower is 365 Prince of Wales Drive, for the north tower is 360 Square One Drive, and for the Limelight Urban Townhomes is 370 Square One Drive. 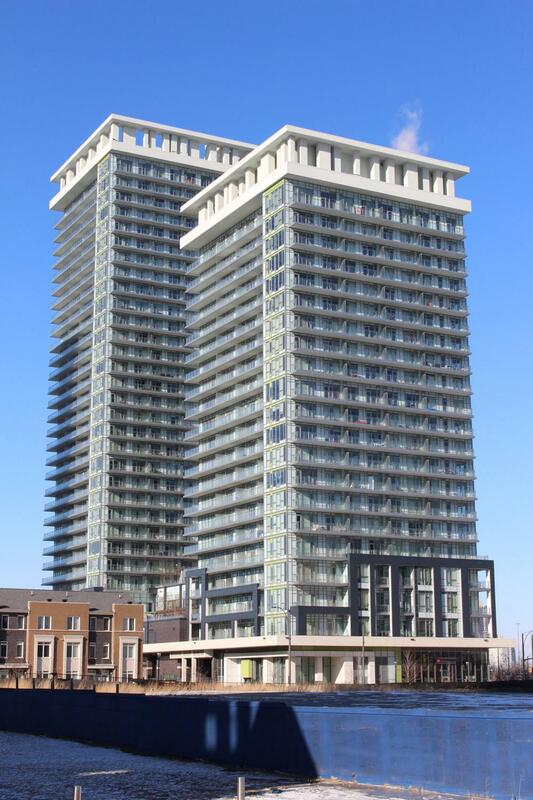 These Mississauga condos are noted for their superior floor plans, and they have become one of the most popular condos in the area. There are more than a few people who believe that Limelight is among the best Square One condos available today. Limelight condos are part of the Daniels’ master-planned community at Mississauga City Centre (MCC), and as such, are conveniently close to all that MCC has to offer: Square One Shopping mall is about a 2 minute walk away, with the entrance to the newly opened Target store closest. In addition, Celebration Square, Mississauga City Hall, the central YMCA, the central library, Sheridan College, the Living Arts Centre, and the Mississauga Transit and GO bus terminal are all within easy walking distance. Adding to the attractiveness of its central location are easy to access to the 403 highway, and convenient shopping at the Rabba supermarket, located next door at the Chicago condominium. Limelight itself has several retail outlets open in its podium area, with several more on the way, including a burger restaurant, and a dessert cafe. Out of all the Square One condos, Limelight has some of the most elaborate features and amenities. Managed under the name of “Club Radiance”, Limelight features a full court gymnasium with a beautiful wooden floor, which is used for basketball, volleyball, badminton, yoga classes, and much more. There is also a fitness centre which overlooks the gym, with a full range of cardio and weight training equipment. There is an elaborate outdoor facility on the roof of the podium, with BBQ areas, outdoor billiard tables, fireplace, and gardening plots. Limelight also features a home theatre room, and a media lounge. In keeping with the ‘green’ theme of the complex, there are bicycle storage areas, and a unique car share progam located in the underground parking garage. Individual suites feature large, wrap-around balconies, and bamboo flooring in the hallway, living/dining rooms, kitchen, and den. Bedrooms feature Green Label Plus textured carpeting. Kitchens feature granite countertops, stainless steel appliances, and imported porcelain backsplashes. Bathrooms feature deep soaker tubs, clear tempered glass shower stalls, and marble counter tops. Hydro is metered separately, using Smart Meter technology. Daniels’ Limelight condos near Square One have become one of the most sought after projects among the array of Mississauga condos for sale in the downtown city centre, with an absolute abundance of top notch features and amenities. The luxury townhouses located at 370 Square One Drive have seen sales ranging from $679,000 to $682,000.